The 10 week countdown begins!!! Thankfully, the plan called for easy miles and I milked it. Met up with my early morning crew for a fiver at 9:15 pace. Did some MYRTLES and some core vids. Exciting stuff. Although, I do have to say that I feel my hips/glutes getting stronger. I try and devote an hour to this stuff on the days that it calls for. 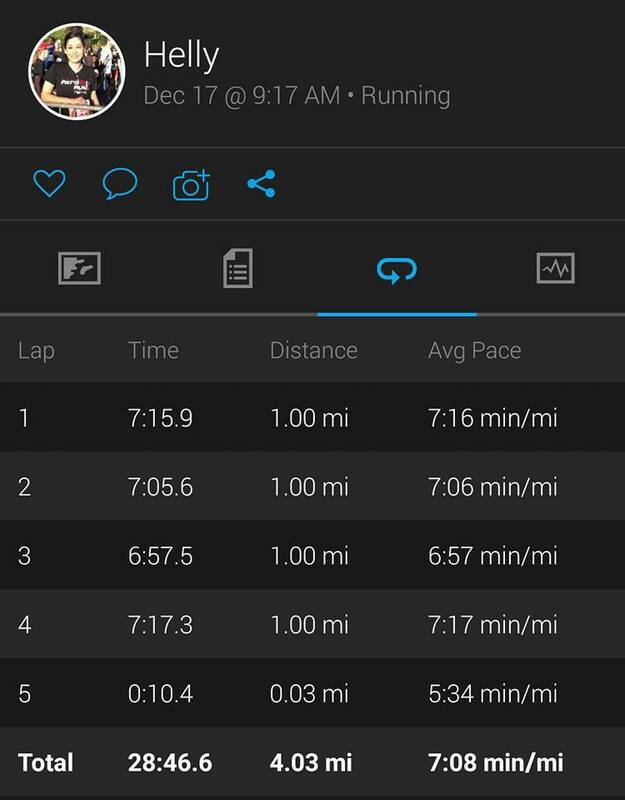 This was a tough workout that I was excited/nervous about–2×1 mile at 10k pace (7:10) and 4×400 at (6:55). It was hard but it was actually….fun? I don’t know who I’ve become. 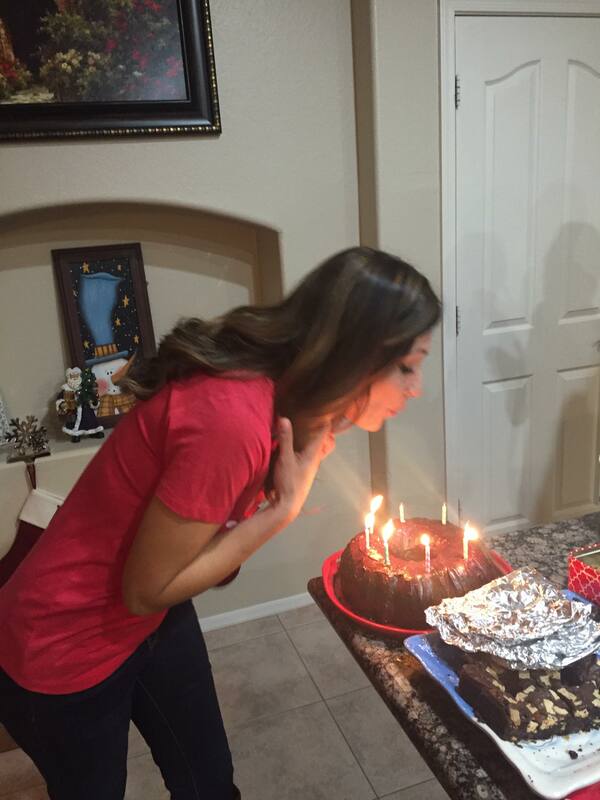 Later, I had two holiday parties and I realized that I didn’t even take an official birthday picture, lol!! True sign of aging, jaja!!! Did a warm up mile before this special race. I ran it last year in celebration of my brother and father’s sobriety and now, more than a year later, they are both still going strong ❤ Because of them, I am a believer of prayer, of God’s strength–and I thank Him everyday for His power to ignite change in my two heroes. Nevertheless, I managed to finish 9th FOA and 2nd in my AG–all of which of course was for my my dad and brother ❤ I often think of them when things get hard in a race. How hard must it be to give up an addiction, to continue every day without something you thought you couldn’t live without? That’s hard. So I go to them in tough times and find strength in their strength. 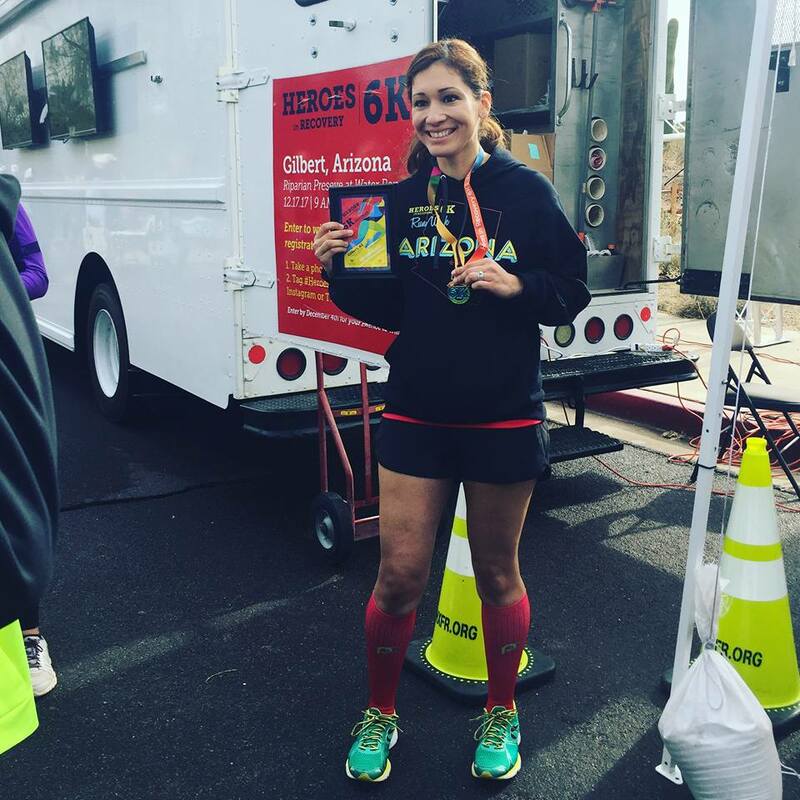 –Do you run a race that means something special to you? Yikes, it’s only 10 weeks out?!? Guess we better get started on training! What a week! Heroes is a great race to honor your family and yourself on your birthday weekend! And it was an award winning race as the first in your new year?!?! Whoo-hoo!! Great work! !